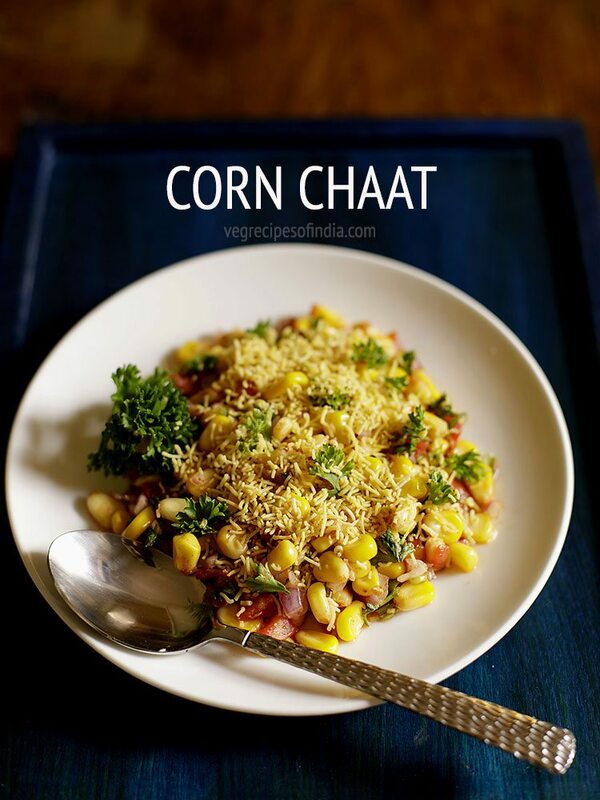 corn chaat is a delectable spiced and tangy snack made with steamed or boiled sweet corn and spices. corn chaat recipe or masala corn recipe with step by step photos – one more spicy chaat recipe for the monsoon time. 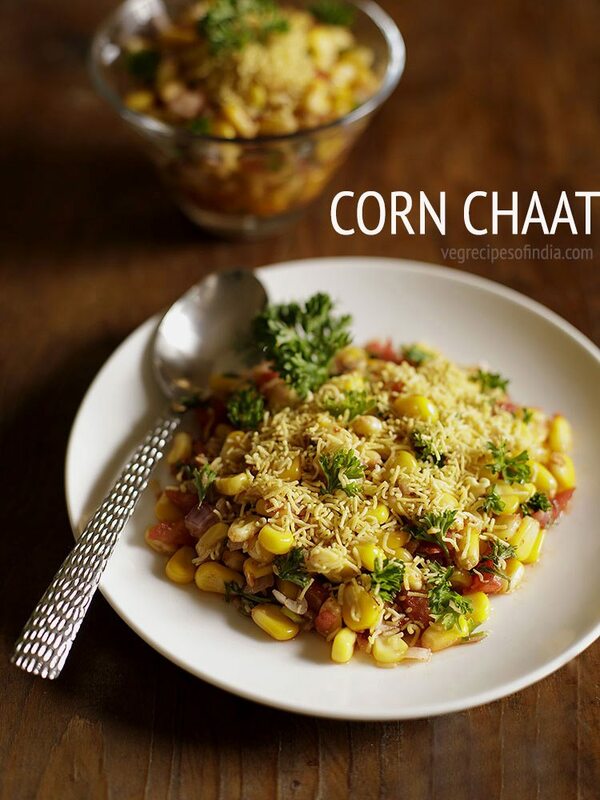 corn chaat is an easy snack which you can prepare quickly or whenever you are short of time. even bachelors can make it as it does not require any cooking expertise. mostly in india, corn cobs are consumed by either roasting them on charcoal or on stove top. but you can use corn in many recipes. e.g. you can make corn cutlet, corn fried rice, masala corn, sweet corn soup, corn pakora and sweet corn pulao recipe. or you can add them in cutlet, tikkis or rice dishes or they even go well with veggies or mushroom dishes. i have used american sweet corn kernels which my sister had got for me to make this chaat. this is a healthy snack and you can consider making it for kids or for your family. but if you plan to make it for small kids then skip adding green chili and red chili powder. the other name for this chaat is masala corn. 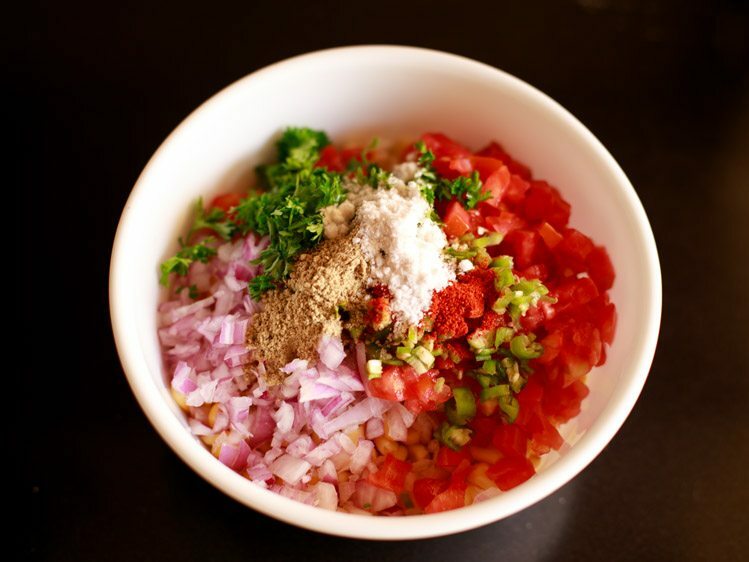 since i have added onions, tomatoes, lemon juice in this recipe and garnished with some sev, i call this recipe corn chaat. there’s not much difference though. so it can be called either. a unique herb variation i added in the chaat was parsley. generally we add coriander leaves in the chaat recipes that we make. however the flavors of parsley, nicely blended with the indian ingredients and tasted too good. the corn chaat can be just had as it is. it can also be served as starter and best time to have it is while its raining !!! 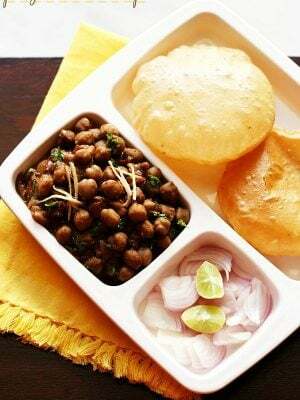 if you are looking for more chaat recipes then do check bhel puri, sev puri, dahi bhalla chaat, samosa chole chaat, dahi papdi chaat and ram ladoo recipe. boil or pressure cook the corn cob or corn kernels. when the corn cob becomes warm or cools down, then remove the corn kernels with a knife. 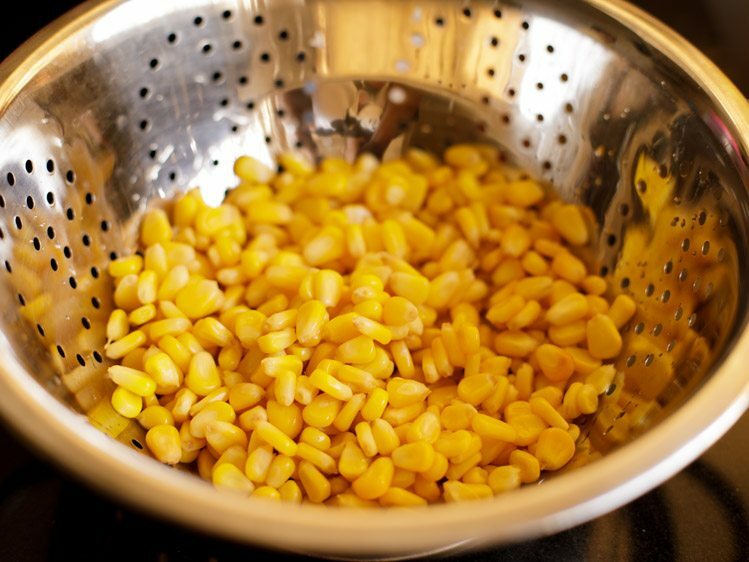 skip this step if you have used corn kernels. 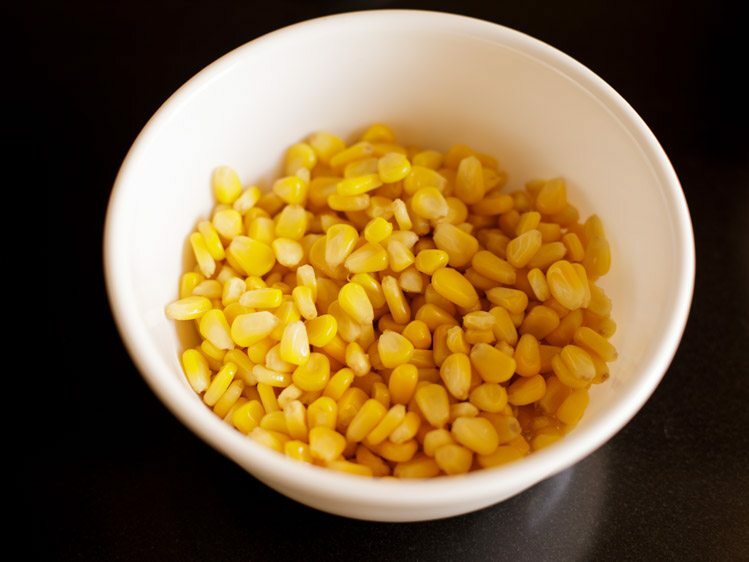 mix the corn kernels along rest of the ingredients in a bowl. check the taste and add more salt or chaat masala or lemon juice if required. 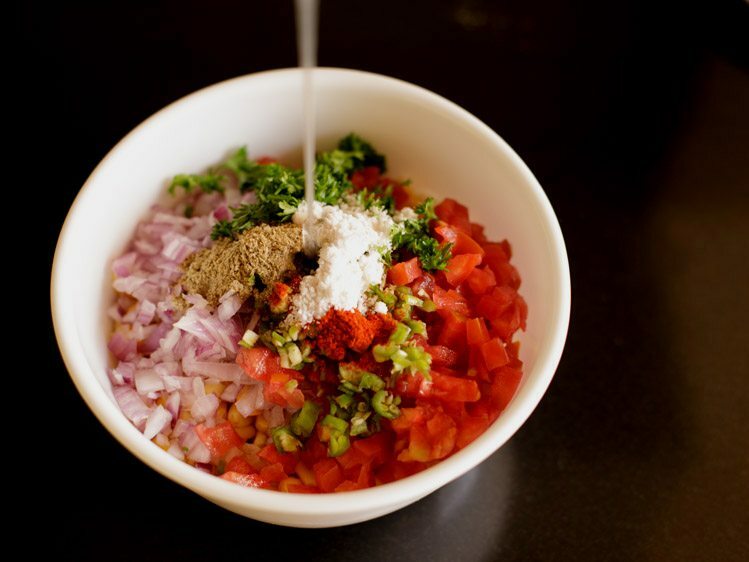 serve the corn chaat immediately, in individual serving bowls or plates topped with sev and a garnish of coriander/parsley. 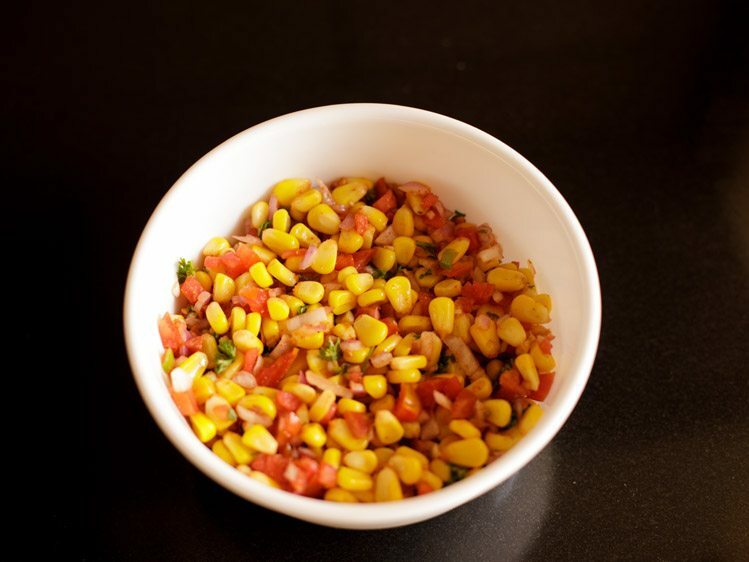 1. this corn chaat recipe can be doubled or tripled. 2. you can also use tinned sweet corn kernels. however fresh corn tastes the best. 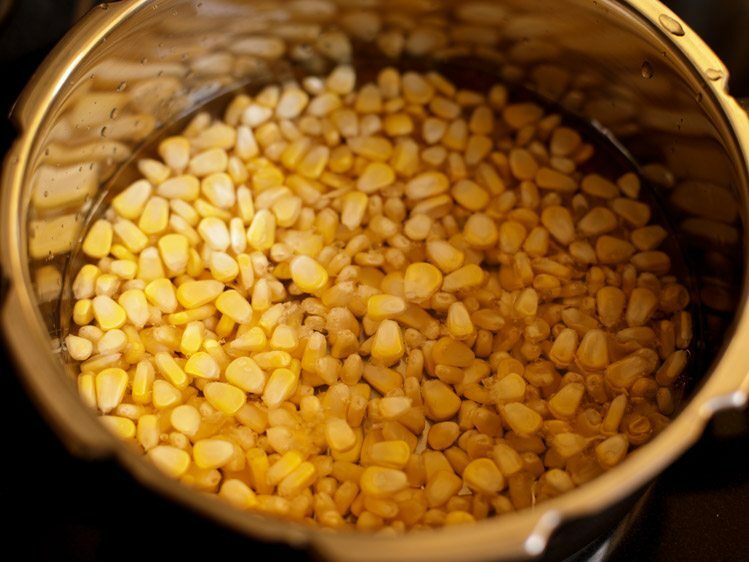 1. rinse 1 cup corn kernels or 1 medium sized corn cob couple of times in water. i have used american sweet corn kernels here. 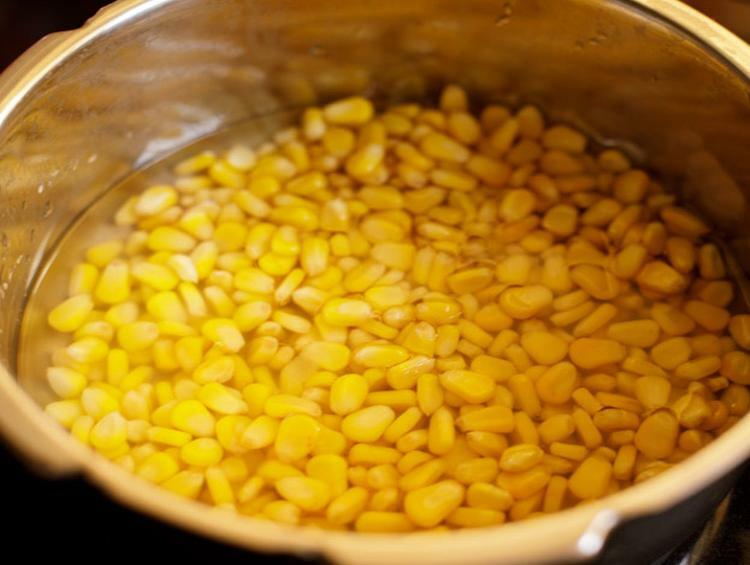 2. add the rinsed corn kernels or corn cob in a pressure cooker. also add 1.5 cups water and ¼ teaspoon salt or add as required. 3. pressure cook the corn kernels or corn cob for 3 to 4 whistles or till they are cooked well. you could also boil kernels in a pan. though this will take a longer time to cook. 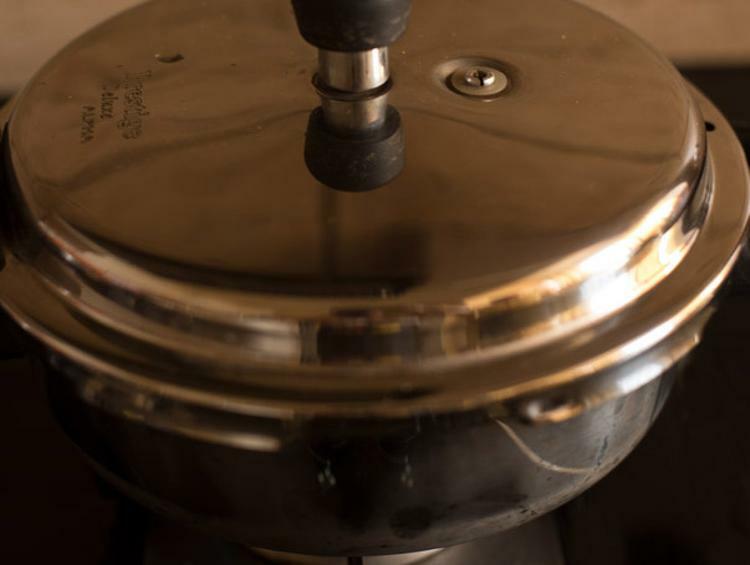 4. let the pressure fall down on its own in the cooker. then remove the lid. 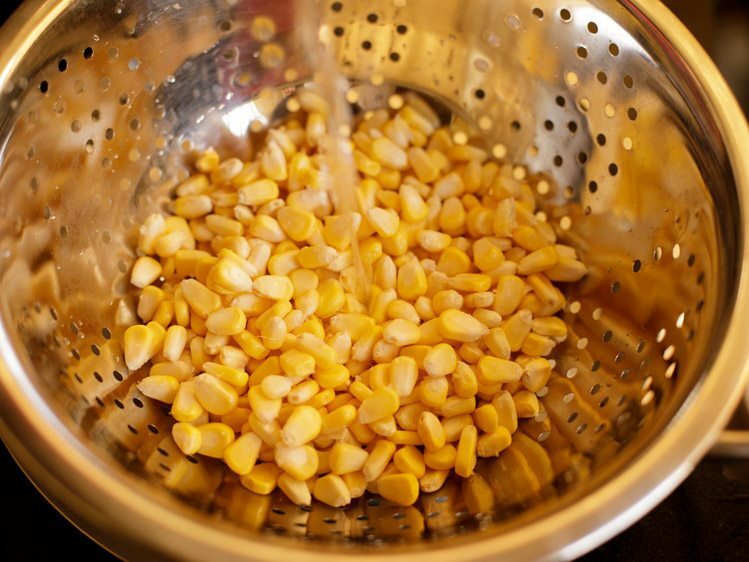 5. in a colander or strainer, strain the boiled corn or corn cob. drain all the water and keep the cooked corn kernels aside. when the corn cob becomes warm or cools down, then remove the corn kernels with a knife. if you are using corn kernels then skip this step. 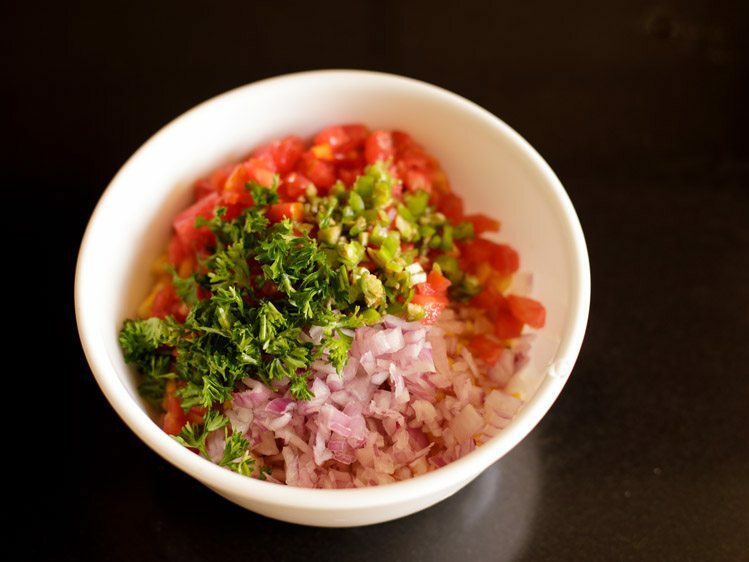 6. chop onion, tomatoes, green chili and coriander or parsley leaves. 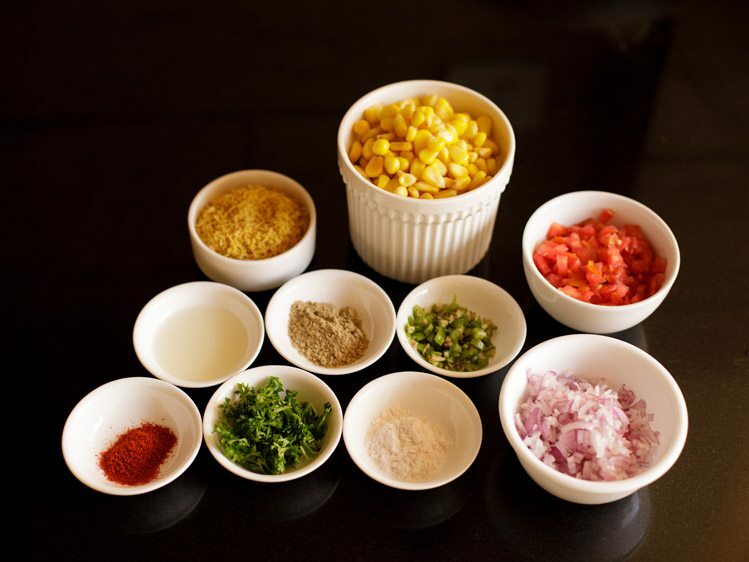 measure and keep all the ingredients ready for making the corn chaat. 7. now take the boiled corn kernels in a mixing bowl. 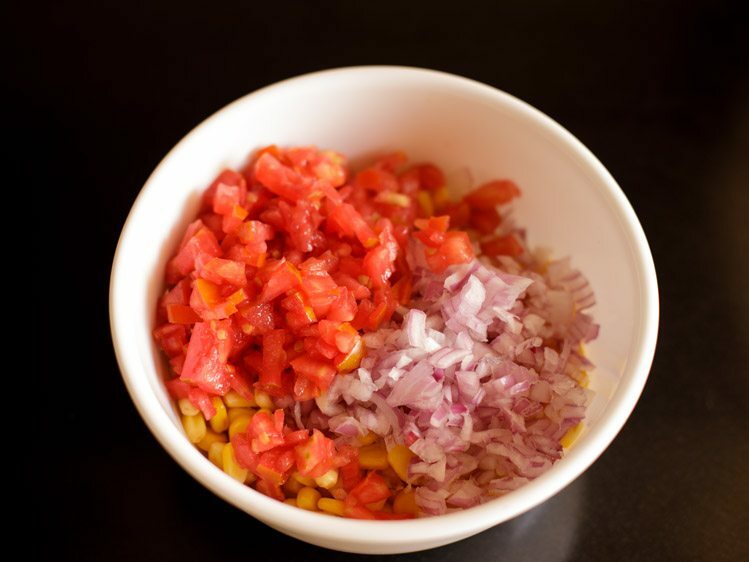 8. next add 1 small onion (finely chopped) and 1 medium tomato (finely chopped) to the corn kernels. 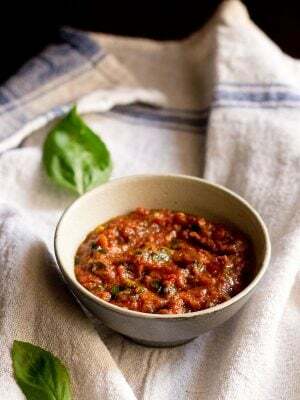 9. add 1 green chili (finely chopped) and 1 tablespoon finely chopped coriander leaves (or parsley leaves). 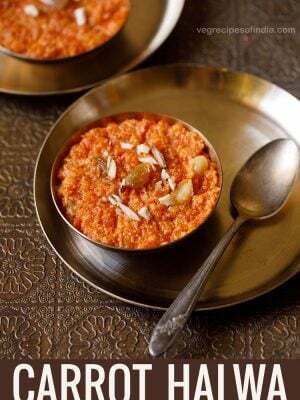 10. add ¼ teaspoon red chilli powder, 1 teaspoon chaat masala powder and salt as required. 11. finally add 1 to 2 teaspoons lemon juice or add as per taste. 12. stir and mix very well. check the taste and add more salt or chaat masala or lemon juice if required. 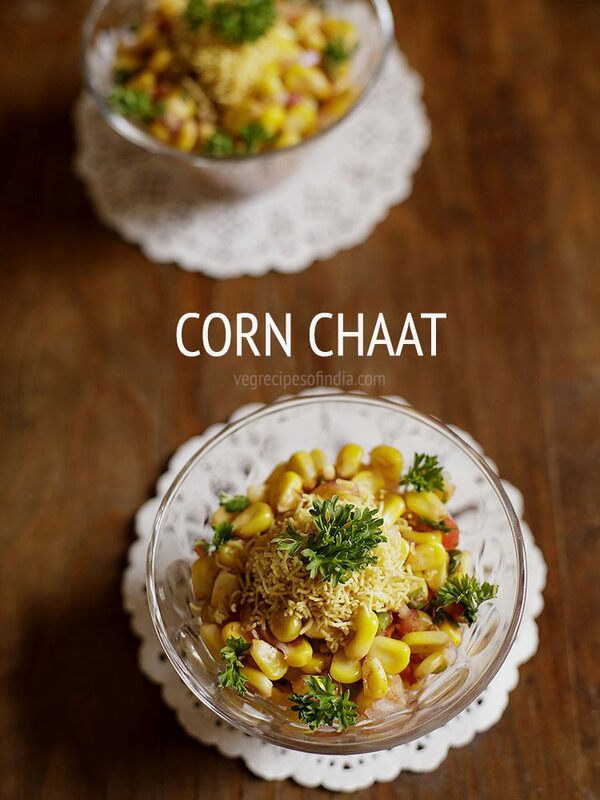 12. serve the corn chaat immediately, in individual serving bowls or plates. 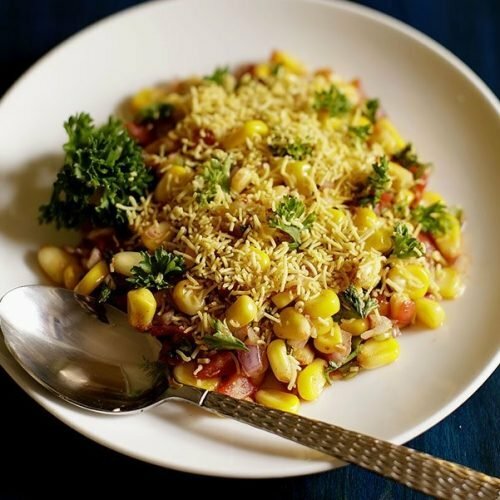 top corn chaat with sev (fried gram flour vermicelli) and a garnish of chopped coriander leaves or parsley leaves. thanks for the feedback sukanya. its a good way to get food recipes & tips in easy way. in just a few minutes. thanks meeti for the positive feedback. 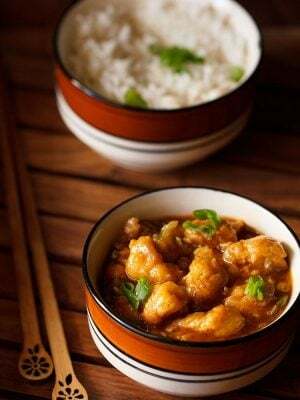 I have recently started reading your blogs and have become big fan of your recipes. I was always looking for blog like this which has pure Indian home touch. Dassana, I have been looking for chaat masala and aamchur recipes but could not find in your blog, can you please share it. thanks a lot sheetal. i have not yet posted chaat masala and aamchur. will add and they are in my to do list. Sweet corn is practically a religion here in the summer 🙂 and this looks fantastic! Pinning now! Yumm! What a wonderful idea! The corn probably adds some sweetness against the heat of the chili powder! Yum,corn is one of my favorite snack to have.with just a small pat of butter and some salt and pepper it makes for a very filling snack.Got to try it this way! 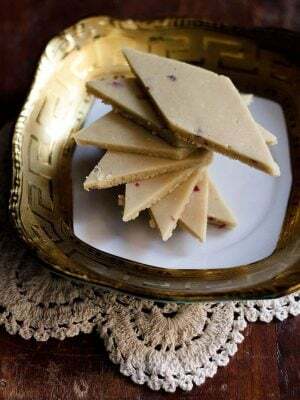 My favorite 🙂 that too if some one makes Tada 🙂 ican have one more cup ! 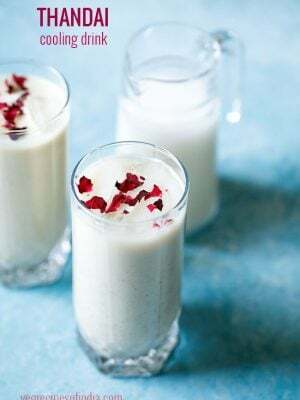 the corn soup one that i have posted is different. but its too good. give it a try, renuka. the one that is available with beans and carrots in restaurants is different. they use tinned cream style corn. i will give a try. since i will have to make cream style corn at home first before making the soup. Aha…corn in chaat…what more can I ask for with my evening tea!